How can we bring these views together? I’m going to give some recommendation about optimal process schemes based on Goldratt’s Theory of Constraints (TOC). Just from the theory of probability resources performances would not be equal. Besides it’s sometimes impossible to align performances. For example, sales may have excessive performance because orders are accepted at distributed sales offices and you can’t place half of an employee into the office. From the other hand the design performance can’t be increased due to limited qualified labor force available. 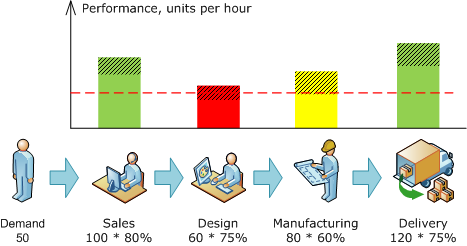 In this example the overall process performance is determined by that of design. So this is the bottleneck, painted in red. The distinctive feature of a bottleneck: an increase in its productivity immediately results in overall productivity increase. What’s more important, an increase of productivity of any link other than a bottleneck doesn’t affect the overall productivity. Non-bottleneck links are painted in green except for the second from the bottom which is painted in yellow. It determines the extent to which the overall performance can be increased by improving the bottleneck performance only: from 60 to 80 in this case, i.e. by 33%. According to Goldratt, the operations of the whole chain should be tied to the bottleneck - so-called “Drum-Buffer-Rope” method. The buffer is needed to eliminate the possibility of bottleneck downtimes and losses that they would lead to. 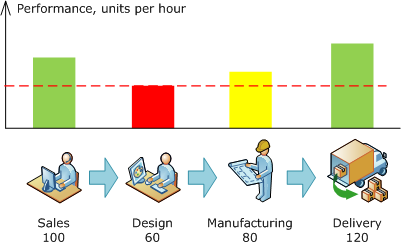 The downtimes may happen due to variations - the performance figures are average ones so the number of client orders getting into design may increase or decrease. So it may happen that the bottleneck would be starving and the overall performance would suffer. The buffer compensates temporary lacks of input. In accordance with TOC, buffer should be placed at the bottleneck’s input and at this place only: more buffers would not increase performance but only lead to excessive costs. 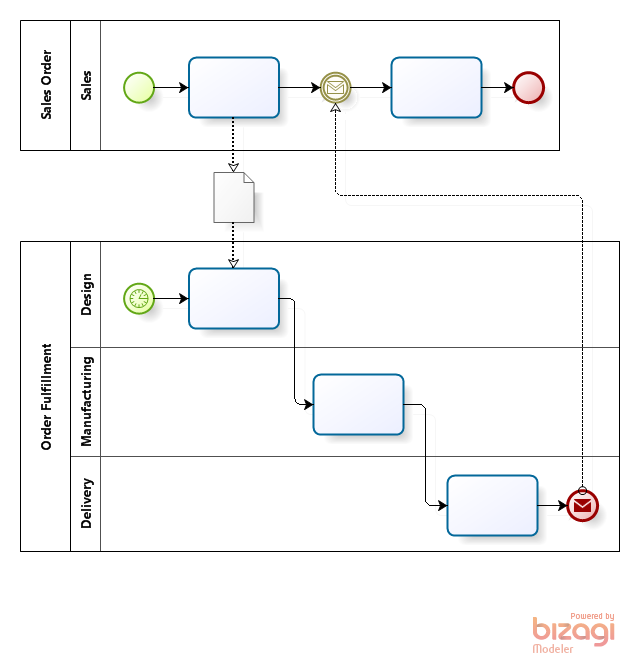 Asynchronous processing maximizes the design performance and hence the overall process performance. We don’t need to carry about other resources performance so we target them to maximum quality, keeping in mind that the end-to end process duration is a major quality indicator. Most companies are willing to grow as long as possible i.e. as long as there is a payable demand. Accordingly, at the end of the day the demand becomes a constraint. Seasons may be a factor. E.g. a beverage company may be constrained by capacity at summers (during the season) and by demand at winters. Market environment is always unpredictable so it may be useful to have some spare capacity. Demand isn’t something absolute - it’s affected by price and quality of our products/services . The excessive performance equals 20% in the given example. If demand variation is within this range then the synchronous scheme should be preferred; otherwise it’d make sense to get back to the scheme depicted at fig. 2. Unfortunately the linear models considered are too simple to use the conclusions at practice. There are at less two sources of non-linearity: restarts and readjustments. a second order and yet another - where do they all come from? The asynchronous mode assumes by contrast that we build a plan in advance e.g. for a working shift and fulfill it steadily without hurry and/or breaks. Similarly to a production line that gains full speed only after a while a human needs some time too to switch from being idle to productive work. It’s not that visible at the top process level but if we go down a level or two we’d discover that a performer (i.e. each of us) participates not in a single but in several process. As a rule, the higher at the hierarchy, the more processes he/she participates in. 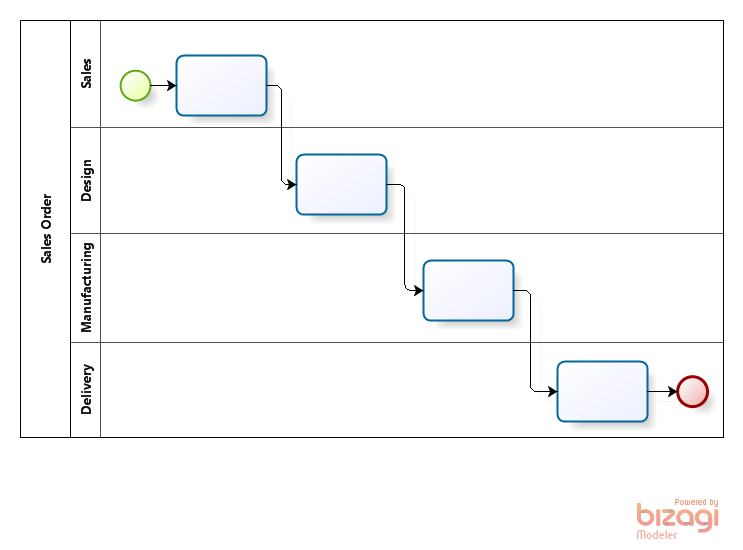 Now imagine that you get incoming tasks from dozens of various processes. Switching between tasks requires additional efforts and extra costs similar to those that occur when a production line is readjusted from one product to another. The less of these switches the less are costs to such “mental readjustments” and hence the more is your individual performance. The number of readjustments may be decreased by asynchronous processing. It’s always easier to perform similar tasks. May be it’s not evident for two task types but what if there were dozens? This explains why CFO probably would prefer payment requests to arrive by lists rather than one-by-one. So the synchronous mode minimizes the overall process execution time (good) yet it leads to decrease of productivity due to restarts and readjustments (bad). 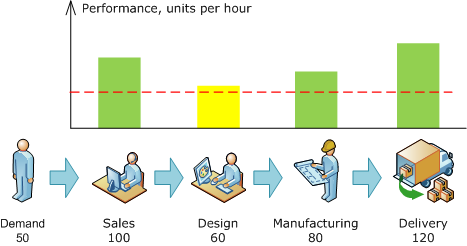 The result of design performance decrease is that it’s a bottleneck again: its performance is lower than the demand. The simplest way to cope with this problem is to get back to asynchronous mode, like at fig. 2. Moreover, due the decrease of manufacturing productivity it “sank” below the demand level too hence it should be switched to asynchronous mode. However switching from synchronous to asynchronous mode is only one possible way. Toyota Production System offers another one: don’t compromise the quality (don’t increase the process duration) but cut the time spent to restarts and readjustments. Of course there is always a limit and if a particular manager or specialist is overloaded then do create such a comfort zone. A person in charge must understand that his individual performance doesn’t matter. The synchronous execution leads to excessive stress that could be avoided yet it’s better for a client who is the king in a proper business. A human dealing with incoming tasks fast, executing them without delay as soon as they arrive must be sure that he/she won’t suffer - that the management would not decide to increase the load. At the end of the day it depends on motivation: when a client calls to a small company nobody needs to be explained that the client is number one priority and everything else can wait. And what about a large one? “If it’s really important for you then pick up the damned phone!” However it’s beyond the scope of the article. All of the above relates to the major processes directly affecting customers’ experience. As for the auxiliary processes, the process duration isn’t that important so the efficient resource utilization becomes the major issue. Therefore the asynchronous mode must be considered as the major one. Resources are usually utilized both in major and auxiliary processes. E.g. accounting is the major performing of the auxiliary processes of financial reporting and of employees fee calculations and payments. Besides, accounting may participate in the major sales process by creating invoices for customers. According to the principles above, the tasks within reporting and fee should be executed asynchronously while the invoicing should be done synchronously (on the condition that accounting isn’t the bottleneck which is hardly the case). Within functional mindset, accounting will treat the former two process as “our own” because it’s the major performer there and hence it’ll give them more priority than invoicing which is a part of “foreign” business process. The process logic is different: it requires the tasks belonging to major process to be prioritized whether they are “our own” or “foreign”. The accounting is just an example indeed - a similar internal conflict would arise anywhere else. Once again we come to the necessity of process thinking and adequate motivation system.